When Google announced the Readerpocalypse in March users fled in every direction, finding new homes at competing service like Feedly, BazQux, TinyTinyRSS, NewsBlur, NetNewsWire. Most of these services were thrilled to gain new users, but not all were able to survive the strain. The developers behind The Old Reader announced today that they are closing its doors 2 weeks from today. They're not shutting down, thank goodness, but they are going to downsize their userbase to a more manageable level. The Old Reader, which has been widely heralded as one of the better Google Reader alternatives, had 10 thousand users the day before the Readerpocalypse. Within a week that number swelled to over 130 thousand, and it never stopped growing. 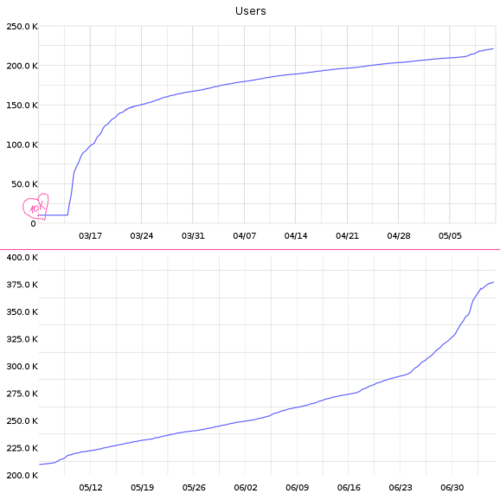 The Old Reader now stands at 420 thousand users. That figure might not be impressive compared to Feedly's millions but it is more than The Old Reader's developers can handle. Since we launched first public version almost a year ago up until March 2013 we have been working on The Old Reader in “normal” mode. In March things became “nightmare”, but we kept working hard and got things done. First, we were out of evenings, then out of weekends and holidays, and then The Old Reader was the only thing left besides our jobs. Last week difficulty level was changed to “hell” in every possible aspect we could imagine, we have been sleep deprived for 10 days and this impacts us way too much. We have to look back. The service won't be shutting down, per se, but I don't think most users will be able to tell the difference. The Old Reader is going to relaunch as a private service, and the vast majority of users are going to be left out. The only users who are going to be invited to stay are the ones who joined before the Readerpocalypse and those who made donations to support The Old Reader. The developers are also open to the possibility of selling The Old Reader or possibly making the code base open source, but no definitive plans have been set. In a way, I am not surprised at today's news. I had frequently heard that The Old Reader was a great alternative to Google Reader, but I have never used the service myself. I tried to sign up a few times since March but The Old Reader always lo0oked to be straining under the load. If you are one of the several hundred thousand users left out in the cold, there are alternatives. Over the past few months I have looked at a couple dozen different services, including 9 alternatives I identified the first day and a few dozen others I have tried and reviewed (here, here). darn. I liked Old Reader. But the extended down time over the past week was a bad sign. I still recommend Readkit with feedly. Adds a lot to the feedly service (although I’ll be back to Netnewswire like a shot when they get their syncing issues sorted). I have used OldReader for some time. Sad news for me. Now I am trying http://silverreader.com which seams like a good alternative and it is very speedy. Been using Inoreader for a couple of weeks, and am very pleased with its speed, functionality and overall GoogReader-likeness.